The Dallas Museum of Art has agreed to return six looted antiquities from its collection and announced a broad new initiative to exchange expertise and artwork with cultural institutions around the world. “The problems of illegal excavation and the illicit import of cultural property require the consideration of new models of cooperation among institutions,” the museum said in a release announcing the initiative, dubbed the Dallas Museum of Art Exchange Program, or DMX. The effort was announced Monday while signing an agreement with Turkey, the museum’s first partner, for the return of the Orpheus Mosaic, a Roman mosaic floor looted near Edessa (today’s Sanliurfa) and acquired at a Christies auction by the DMA in 1999.
the last thing he wanted was “to be the recipient of a claim by Turkey and be unprepared, seeing all of that evidence. So, I wrote to the embassy, saying if you have any information about this mosaic, please let us know. I didn’t have any specific information, but it seemed circumstantially that it was very likely that it was removed from that site.” Turkish officials came forward with the photograph of the mosaic, “which is all you need to know,” Anderson said. In addition to the Orpheus mosaic, the Dallas museum agreed to return five antiquities to Italy in response to law enforcement requests. All five Two of those objects were first questioned by us in a Jan. 11 email to the museum inquiring about links between the DMA and the illicit trade, including antiquities dealer Edoardo Almagia. After our inquiry, the DMA contacted Italy and has now agreed to return them. UPDATE: In February, we requested provenance information for 15 of the DMA’s recent acquisitions, including the five pieces returned this week, that we selected at random. They helpfully provided the list we posted here. We asked yesterday on Twitter whether other objects on that list might also be returned — several come from dealers who have also been implicated in the illicit trade. A museum spokeswoman now tells us: “Italian and Greek authorities have reviewed our collections records, including the works you refer to in your recent post, and have advanced no other claims.” Of course, some of the material on the list, such as the Cycladic figurine, likely came from other countries. The objects going back to Italy — and the DMA’s explanation for their return — offer a helpful who’s who of the illicit antiquities trade. Volute Krater (Pulian, 4th Century BC). As we noted in February, both were purchased from antiquities dealer Edoardo Almagià in 1998. 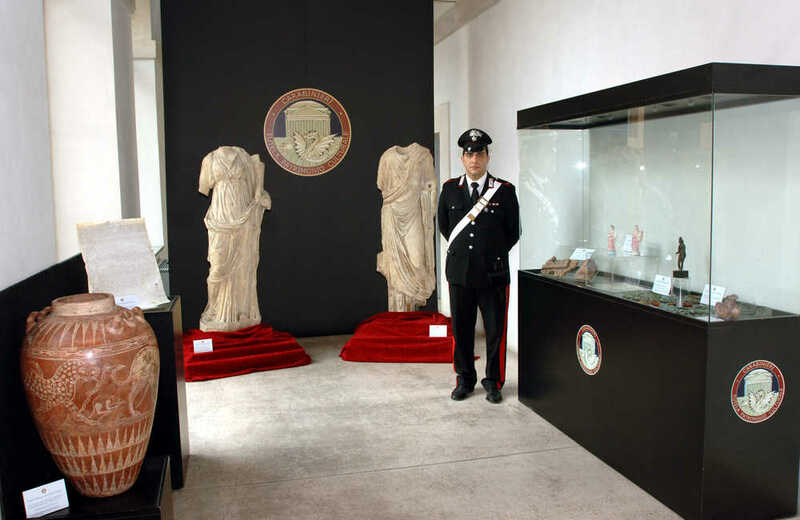 The museum describes Almagià as “a former New York antiquities dealer…currently named in a criminal case for conspiracy to commit the illegal export and smuggling of cultural property pending before the Public Prosecutor of Rome. 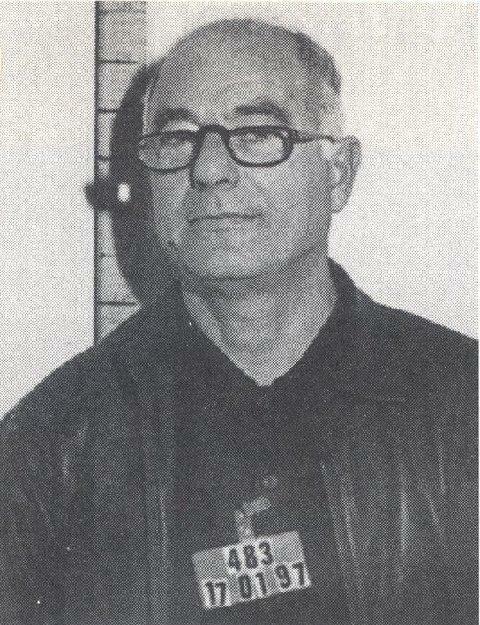 Almagià has been under investigation since at least 2006, when U.S. Customs officials raided his New York apartment, confiscating photographs, documents, and archaeological material. 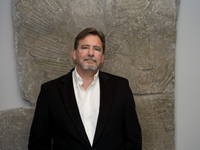 He was also the subject of a New York Times story in 2010 that revealed he and Michael Padgett, former antiquities curator at the Princeton University Art Museum, were the focus of an investigation of the illegal export and laundering of Italian archaeological objects. The Italian government named Almagià in the criminal case for having ‘sold, donated, or lent’ nearly two dozen works looted from Italian sites to the Princeton Museum. Roughly twenty other objects are listed in the case as having been obtained illegally by Almagià and sold to other American institutions in the 1980s and 1990s, including this pair of shields.” UPDATE: The DMA incorrectly referred to Padgett as the former antiquities curator at Princeton. The Princeton Museum confirms he remains on staff there, and the DMA has corrected is post. Dallas now joins the Met and Princeton in returning objects linked to the dealer. (We’ve written about those returns here and here.) Will the other museums we’ve identified with Almagia material — including the Getty, the Boston MFA, San Antonio Museum of Art, Indiana University — now be motivated to do the same? A Red Figure krater (Apulia, 4th Century BC) acquired by DMA at Sotheby’s in 1996. You can find a list of our previous posts mentioning Becchina here. Etruscan head of an Antefix. Said to be from Henri Jacques of Geneva. Purchased from Robin Symes in about 1999. You can find our other posts mentioning Symes here. We’ll have more on the significance of the returns and the DMA’s new loans initiative in a future post. Tagged Christies, Dallas Museum of Art, Edoardo Almagià, Giacomo Medici, Gianfranco Becchina, looted antiquities, Maxwell Anderson, Orpheus Mosaic, repatriation, Robin Symes, Sotheby's, Ward and Co.
Loot at the Seattle Art Museum? While in Seattle last month for a talk at Elliot Bay Bookstore, I stumbled across an interesting piece in the Seattle Art Museum’s permanent collection of ancient art: a marble Roman portrait head of the Emperor Claudius. I asked the Seattle Art Museum for details about the object. What was known about its ownership history? Was the museum concerned about possessing an object from a dealer known to traffic in looted art? The museum does not have any other objects in its collection known to have come through Symes or the other prominent dealers implicated in the Italian case, Egan said. The SAM continues to actively research the provenance of the piece and welcomes new information. Egan did not provide any details about that research. We suggest the SAM consider contacting Greek authorities, who raided Symes’ estate on the island on Schinoussa. Among the items seized during the raid were photos of dozens of likely looted objects sold by Symes.